The 2018 Mizuno Covert is a two piece hybrid bat in its third year of production. The baseball bat’s first year, it ran under the name NightHawk. In 2017, it was referred to as the Covert. We aren’t the only ones to have information about the Covert. Other places, in particular those who sell bats, usually have a boiler plate write up on the specs of a bat. Many of those we reference to make sure we are seeing what we should be. Here are some more references for the 2018 Mizuno Covert review. We think the Covert a mid to top end bat. It lacks the barrel size we’d like to see on a hybrid, but the two piece connection makes for a good smash. The swing weight is nice and balanced and the number of size options for 2018 (drop 10, 9, USABat and BBCOR) give many players some legit options. If you can find the 2017 version in your size, don’t hesitate either. The Covert is our favorite Mizuno non-wood bat. It’s a nice balanced swing with a reasonably stiff connection piece. If you want the latest—and we think greatest—from Mizuno, then this would be your bat of choice. If you can find a 2017 version of the Covert in the same size, then we would hesitate on the 2018 version. For the USABat, however, don’t expect any 2017 versions as the 2018 is the first year it was produced. As well, if you like a two piece composite or would like a monster barrel, then the Covert is not for you. Neither should it be your bat of choice if you want a stiff feel for total power transfer to the ball. It is helpful, too, the bat comes in a number of sizes. The drop 10 and 11 in the USSSA as well as the drop 9 in the USABat make good options for just about every youth player. And the BBCOR drop 3 should find more than a few homes come this season. 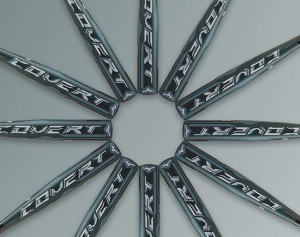 There are no differences, aside from the color up, between the 2017 and 2018 Covert. We refer you to the 2017 Covert Review for more insight on this bat. That is—there are no differences except for the addition of a USABat in the 2018 line of Mizuno Coverts. After being named the best 2017 BBCOR baseball bat, the 618 SOLO from Louisville Slugger is BACK! Like last year, the 2018 Mizuno Covert is a two piece hybrid baseball bat built for the average size player. The aluminum barrel is built for hot out of the wrapper performance. The composite handle gives the bat a lighter feel. And the connective piece between the two attempts to dampen sting on mishits. The bat also uses variable wall thickness in the aluminum barrel. This allows for a larger sweet spot and a larger physical barrel, too, without affecting swing weight. The design is much like a few other bats on the market, and just like the 2017 version of the Mizuno Covert. As of this writing, the Maxcor is set to release in both a BBCOR and USABat version. BBCOR is a drop 3, of course, the USABat version is a drop 5.